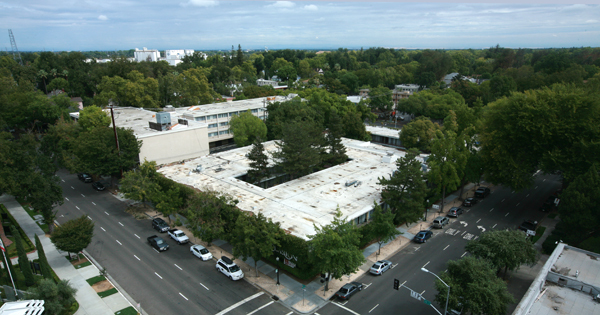 When compared to the ongoing downtown crisis on K Street, Midtown Sacramento is a success story. But does Midtown owe its success to a lack of attention from government, as some assume, or has the city responded to Midtown’s needs in more effective ways? 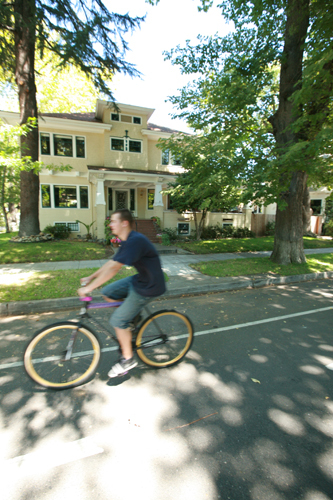 City policies were enacted in response to neighborhood activism in areas like urban forestry, historic preservation, zoning and traffic, but are part of a national trend of returned interest in American cities. According to Joe Benassini, Sacramento’s urban forestry manager, “Sacramento has been tree-positive since the founding of the city.” Trees were a city priority since the Gold Rush, and citizens planted trees to beautify the city and provide shade from summer heat. 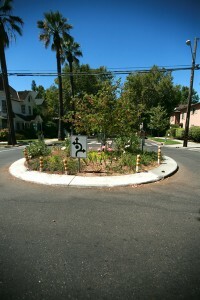 In 1911, Sacramento’s Parks Commission was formed, creating the first regulations for city maintenance of street trees. By the mid-20th century, our tree canopy was the stuff of urban legend. A Sacramento Bee article from August 10, 1953 about the city’s tree inventory was probably the origin of the often-heard claim that Sacramento had more trees per capita than Paris. In the late 1950s, budgets for tree maintenance shrank as Sacramentans moved out of the older neighborhoods into new suburbs, and air conditioning was considered a better cure for summer heat than shade trees. Attention to Midtown’s trees declined, as did attention to Midtown itself during this era. 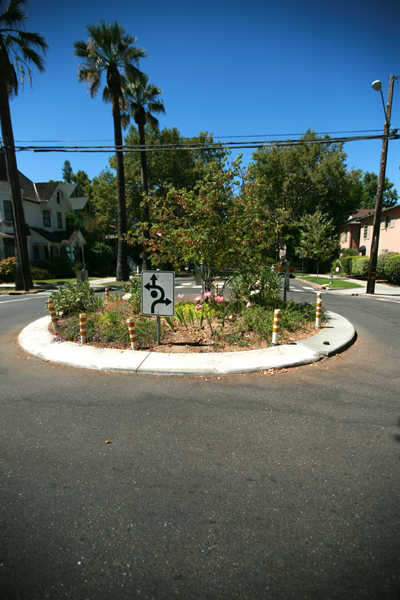 In 1981, Mayor Phil Isenberg and County Supervisor Illa Collin founded the Sacramento Tree Foundation to reverse this trend and restore the tree canopy. Volunteers and nonprofits worked with the city to promote new planting and pruning of existing trees. When Dutch elm disease struck Sacramento’s urban forest, a group of Midtown volunteers called STEP (Save The Elms Program) collaborated with city staff to monitor elm trees and educate the public. Midtown’s neighborhoods are immediately recognizable for their historic buildings. Many are individual city landmarks or are within designated historic neighborhoods, created largely in response to public outcry over the demolition of central city neighborhoods. 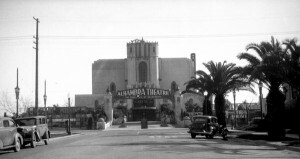 According to Councilmember Steve Cohn, Sacramento’s preservation movement was started by the loss of a beloved landmark: “The destruction of the Alhambra Theatre was the turning point where people started to question the suburban values of civic progress, and recognizing that we lost a real civic treasure. There were council members who wanted to save the Alhambra, but I still don’t think they understood the significance of it until it was destroyed.” Public pressure in the wake of the Alhambra’s demolition led to a survey of historic buildings and adoption of the city’s first preservation ordinance. “We’ve paid for it,” says Cohn, “the lot is still empty. But people see the light at the end of the tunnel. I think we’ve turned a corner on R Street, we have gotten housing on R Street (SoCap Lofts, 14th & R, Alchemy at R Street.) I don’t think we’ll get a proposal for an office tower at Crystal Ice—I don’t think we’re going backwards.” Developer Mark Friedman has proposed a mixed-use project for Crystal Ice, utilizing much of the historic building, but like many other projects, funding is not currently available.